Perfect for Kindergarten and 1st Grade Too! Avaliable in Black & White as well as Color! If you are looking for hands-on and engaging blends centers or digraph centers for your classroom – these are for you! 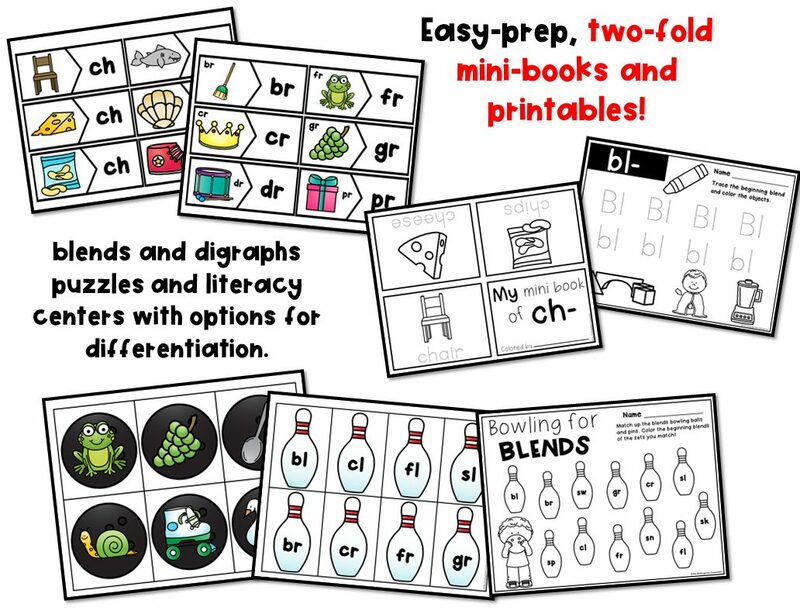 Designed with early readers in mind, these blends and digraphs activities will give you a variety of differentiated centers and options for your students. 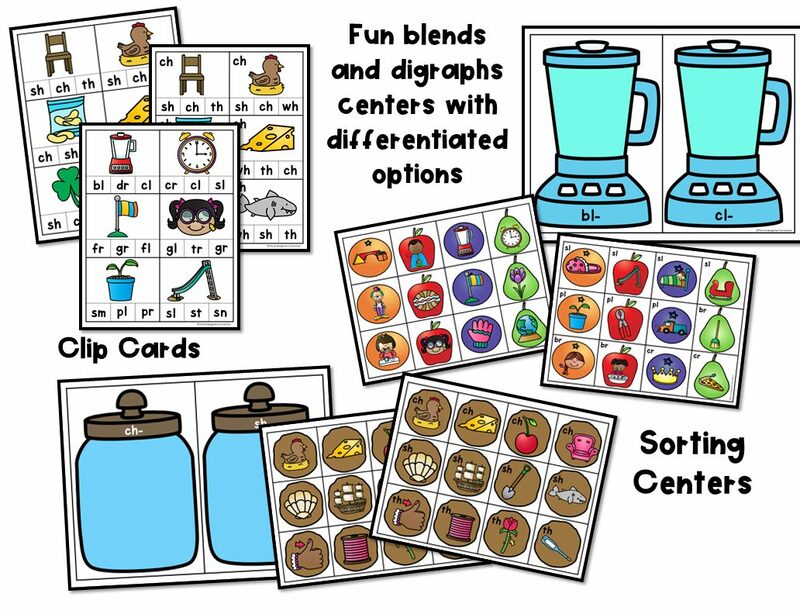 This pack is filled with engaging blends and digraphs centers that are NOT themed and can be used ANY TIME of year! (see the preview and description below for full details). ***This pack is also available in a money saving BUNDLE*** of print and play, skill-based centers. Looking for centers that are themed? You will love our themed math and literacy centers. 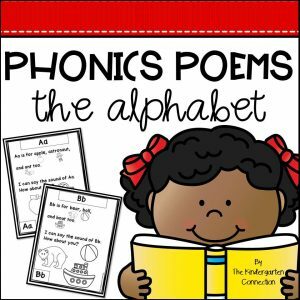 Blend and Digraph Mini-Books and Printables – These mini-books and printables are great for small groups, independent work, centers, or even morning work – anytime you need them! The mini- books are SUPER easy to prep – NO staples needed! Blend and Digraph Puzzles – 2 sets of puzzles (for both blends and digraphs!) PLUS a differentiated set for matching! 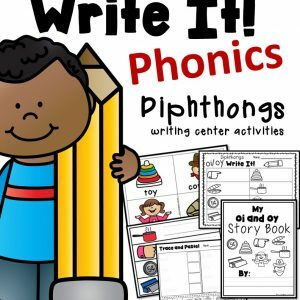 Blends and Digraphs Writing Centers – These writing activities will be perfect for your writing centers! 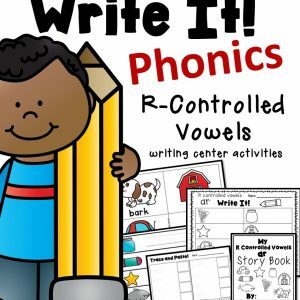 Includes Write or Color the room and a set for both blends and digraphs! 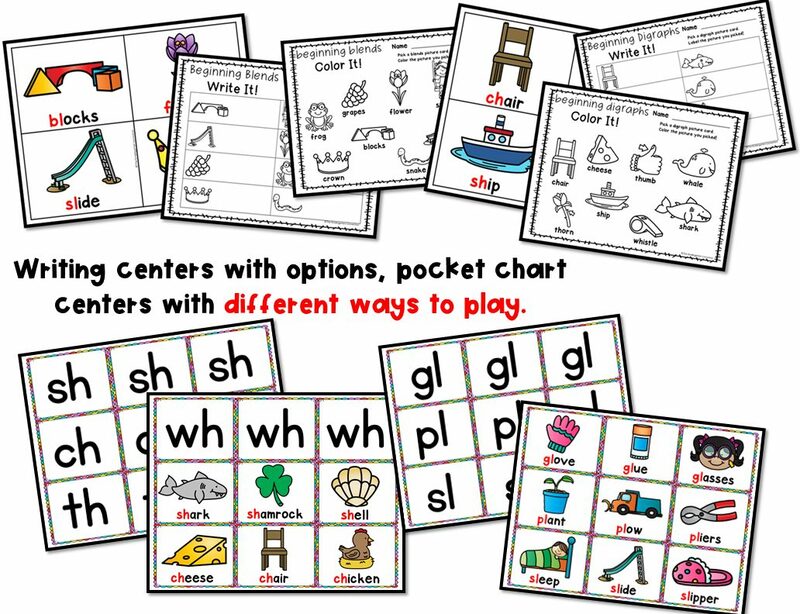 Blends and Digraphs Pocket Chart Sort – Use these pieces as a matching game in the pocket chart (or out). 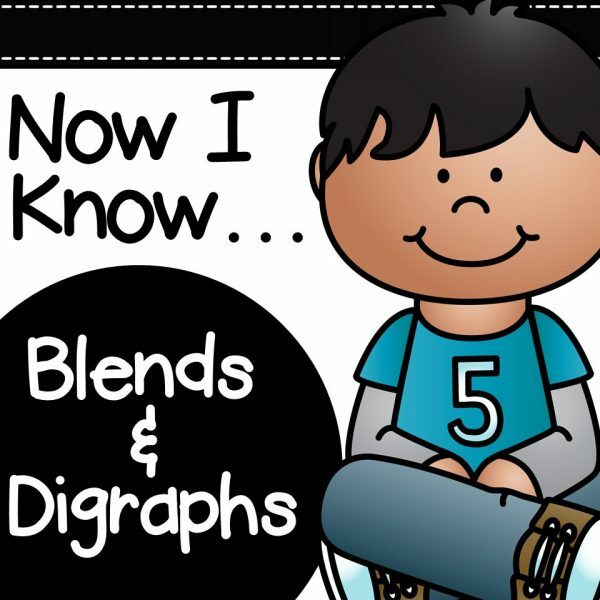 There are three pictures for each digraph/blend available to use as a sorting activity as well if your students are up for more of a challenge.